Therese Laeger received her Bachelor of Arts in Dance Arts Management from Birmingham Southern College. She danced professionally with the original Birmingham Ballet and after college with the Cleveland Ballet. She also performed with Ballet Alabama/State of Alabama Ballet as soloist and in principal roles. She served on the dance faculty of the Alabama School of Fine Arts and was Ballet Mistress/Assistant to the Directors for the Alabama Ballet with Dame Sonia Arova and Choreographer Thor Sutowski. From 1996 â€“ 2007, she chaired and directed the Dance Department at the Alabama School of Fine Arts. Her background in movement drew her to the study of Pilates as a continuation of the healthy training she found as a dancer. In 2009, she completed the teachers training program at The Pilates Center in Boulder, Colorado and began her Pilates teaching at Pilates on Highland for six years along with The Country Club of Birmingham and A Center for Eating Disorders. The Pilates Method supports breath and movement, centering the mind, body and spirit. By balancing both strength and flexibility, Pilates contributes to overall health and enjoyment of life. At the University of Montevallo, she is adjunct faculty, teaching ballet in the theatre department. Her professional life continues as teacher and coach/ballet mistress for AROVA Contemporary Ballet. 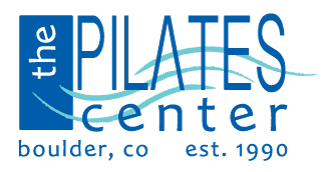 At Embody, Therese teaches weekly Pilates for Bone Strength and monthly Candlelight Pilates.